Before launching his solo project, Zolton spent many years as the guitarist and vocalist for Sydney bands, Lucid and Jetstream. After Jetstream disbanded, Zolton moved to New York where he gave music away and focused on a new career running a digital media company. During that time, he launched the music and culture website, Lost At E Minor, which was a vehicle through which to promote and encourage the talent of some Australia’s hottest emerging creatives. At the end of 2016, Zolton moved back to Sydney and was re-invigorated to get back into creating music again. He sought out talented young producer, Taka Perry, and began work on a new musical project that incorporated big 80s-styled synths, beats, and melodic hooks. Multi-part 80s themed quasi-instrumental featuring custom beats by Es-K. 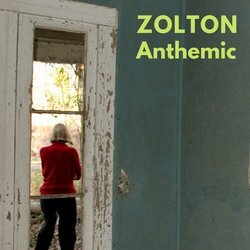 Written by Zolton, produced by Taka Perry and mixed by Matt Sim.